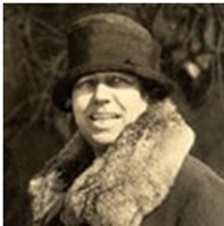 Margaret Fay Whittemore from Detroit, Michigan was a devoted suffragist worker since 1914. Her Grandmother, a Quaker, started suffrage work in Michigan. The daughter of a leading patent attorney, James Whittemore, Margaret Fay started her suffrage work in Michigan in 1914 becoming an organizer for the Congressional Union for Woman Suffrage. She led the Congressional Union’s and National Woman’s Party’s (NWP) federal election campaigns in Seattle, Washington in 1914 and 1916; and worked in Oregon and Idaho as well. In the 1918 federal election campaign she was in charge of the NWP’s efforts in Idaho. She first asked Idaho voters to pressure Senator Borah to vote for the suffrage amendment, but once he voted against it and failed to publically endorse the amendment, her efforts were unsuccessfully turned to defeating his re-election. Continuing her strong suffrage support in the NWP in DC, she was in the group that picketed the White House on July 4 and was arrested and imprisoned 3 days at the Occoquan Workhouse. She participated in early 1919 when the suffragists kept watch fires in front of the White House to burn the President’s speeches on democracy. Suffragists were arrested. In one case, when a suffragist being tried alone was brought into the Court room, there was sustained applause. When the Judge unsuccessfully ordered the applause stopped, Margaret Fay Whittemore and two others were charged, sentenced, and served 24 hours in the DC jail. Sources: Inez Haynes Irwin, Up Hill with Banners Flying (Penobscot Maine, Traversity Press, 1964), 392, 408. Doris Stevens, Jailed for Freedom (Lexington Kentucky, Hard Press, 1920), 281.